Residents that complete their training at the University of Florida will be well equipped to handle any aspect of perioperative care. Each year approximately half of our residents continue their post-graduate training and complete fellowships in both the ACGME and non-ACGME accredited sub-specialties. Likewise, our graduates join private practice groups and academic medical centers throughout the country. This geographic diversity has established a strong network of alumni. Training at UF provides plenty of opportunity to get involved in the political or social aspects of our profession. Residents are encouraged to present at and attend regional and national meetings. 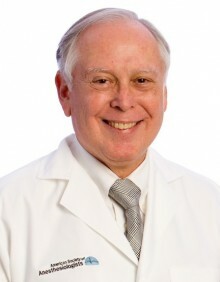 Our own Dr. Jerry Cohen is the former president of the American Society of Anesthesiology.